Who is Alison Teal and why did she go naked on national TV in the most challenging survival show ever? This documentary follows the series of wild and comedic events leading up to Alison’s departure for Discovery Channel’s Naked and Afraid. 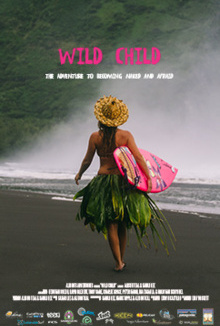 With one week to prepare for the ultimate test of her survival skills, Alison turns to her wilderness expert parents and cast of talented locals from her home in Hawaii and along the way, discovers the most important “tool” for survival.